I had to visit a company in Pickering North Yorkshire today. So I took the scenic route back. 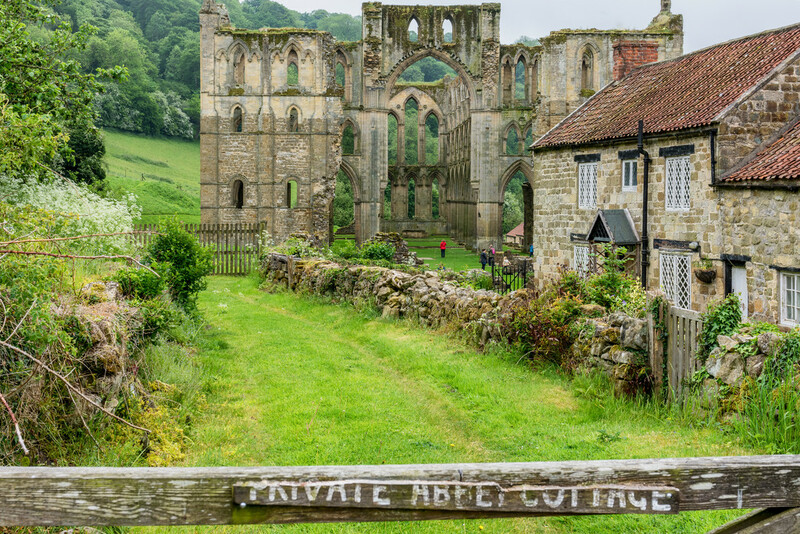 This is the Rievaulx abbey. I planned to stop a while and have my lunch but at 5 pounds to park the car I decided not to bother! Isn't it amazing how that one small red spot stands out and pulls your eye right into the photo? Great composition! FAV! Fabulous. I haven't been there for years. Lovely atmospheric shot. Its a while since I've been here! We were there ladt year. Don't think we paid so much. Great picture. Brings back memories. Fav! Beautiful photograph with the person in the red coat making it something special. It is a place I would like to visit. A favourite for me. Been here a couple of times, beautiful old ruins! Not seen it from this angle though, was this from the road as you go up the hill?. Lovely shot. The red coat lady does give the perspective as how large the abbey truly is. Beautiful scene. I love the pop of red. Five pounds to park is a bit steep isn't it. took me a second to find it!